This scan, obtained with a high frequency linear transducer demonstrates increased subcutaneous fluid, classically described as cobblestoning. At first glance, there is no clear hypo-echoic fluid collection. However, when compression is applied with the probe there is a swirl of iso-echoic purulent material evident in the subcutaneous tissue. Usual scan technique includes using a high frequency transducer in a high resolution preset (superficial or MSK), fanning through the affected area. In this case, no hypo-echoic fluid collection was demonstrated. Compression revealed the answer. To improve the clinician’s sensitivity for subcutaneous fluid collections, a series of gentle compressions should be performed every 1-2 cm throughout the cellulitis, in a fashion similar to DVT evaluation..
To the left is a second example of significant iso-echoic fluid collection made obvious by compression. 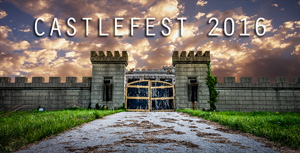 If you like the ultrasound education you get from UOTW, you will absolutely love CastleFest, a world class ultrasound event held in April. Whether you’re an ultrasound novice or want to hone your experienced skills, come eat, drink and learn with the best educators in the field: Dawson, Mallin, Weingart, Mallemat, and more. Oh, and I’ll be there too. Register now.